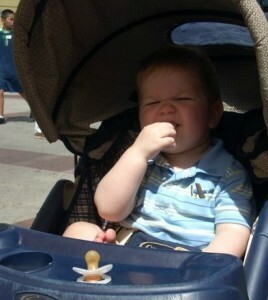 Sea World San Antonio: Tips for Parents! 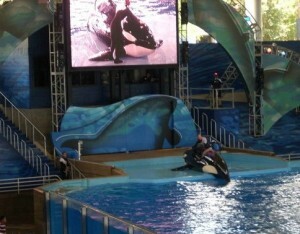 Our family first visited Sea World San Antonio when my daughter was fairly young. It has since become one of our favorite family getaways and we usually get season passes each year! 1. Plan Your Day – Shows do not run continuously, and there are typically only a few show times for each one daily. They fill up quickly, so it’s a good idea to come up with a game plan for your day before you go. Also, check out the feeding schedules for the dolphins and sea lions. There is limited availability and it’s an experience your kids won’t forget! NOTE: You do need to pay for a tray of food (usually $5) When you’re planning your day, it’s also a good idea to look at the park map! The park is big and going back and forth across the park with your kids is one way to ensure meltdowns that will ruin your day. If you are traveling with smaller children, you may want to factor in nap time or a break. The Sesame Street Bay of Play is a great place for younger kids to get some down time! If you’re planning to visit Aquatica, the water park, capacity is limited, so get there when they open. Azul® – This show combines beluga whales, acrobatics, pacific northwest dolphins, and birds and the results are spectacular! This is definitely my favorite show and I never miss it! Cannery Row Caper – This is the “sea lion show” and I think the story line on this show has been the same since I was a kid, but I still love it every time, and the kids will enjoy it, too! 2. Parking – General parking is $13.86 if you purchase online or free if you have a season pass. They also offer Shamu’s Preferred parking, which will give you reserved parking at the entrance of the park. This is $5 more, but has been worth it every time for us, especially during the summer months. With kids who are melting down, and especially if you’re loaded down with strollers, diaper bags and other gear, it really does make a difference at the end of the day. 3. Stay hydrated – During the summer months especially, it will be HOT and it’s important to stay hydrated! You can bring a small cooler with up to 6 water bottles with you into the park. We usually invest in the souvenir bottles because refills are just $.99 and you can re-use them on future visits! NOTE: If you bring juice boxes, you will not be able to take the straws into the park! You can also get free ice water at the different dining areas throughout the park. 4. Food and snacks – If you’ve got little ones, then you probably know the importance of making sure they’re fed! A stroller, sippy cup, and a few snacks go a long way and you’re actually allowed to bring single serving snacks with you into the park! There are lots of dining locations available throughout the park as well. If you’re planning on eating lunch or dinner at the park, you may want to plan to eat earlier or later than “typical” to avoid the crowds. 5. Bring a change of clothes – If you sit in the splash zone, you will get SOAKED. This can be a nice way to cool off during the summer months, but it might also be an unexpected surprise for younger children. You will also get wet if you ride the water rides like Journey to Atlantis or Rio Loco. If you visit the Sesame Street Bay of Play, there is a splash pad area, and trust me, your kids will want to play! 6. Check height requirements for rides – There are two big roller coasters: The Great White and The Steel Eel along with the Rio Loco and the Journey to Atlantis, which are water rides. There are a number of “kiddie” rides in the Sesame Street area. Make sure you check the height requirements for rides before you go so your kids will not be disappointed. You can view this information online. It is also on the park maps that you can pick up just inside the entrance to the park and there is a spot to measure your kids just inside the entrance, too! 7. 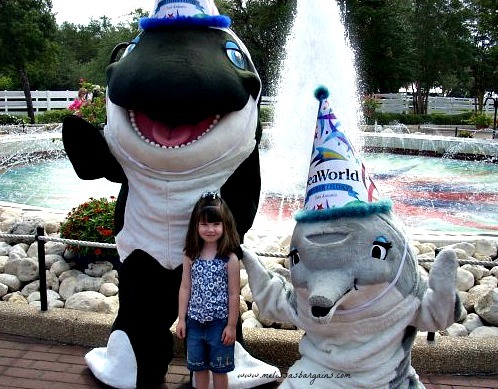 Deals on Sea World San Antonio tickets – You can find the best prices on tickets online. You’ll save $10 off a one day adult or child admission. If you’re planning to visit the park for more than one day, consider a Sea World Fun card, which gives you access to the park for the remainder of the calendar year or a Sea World Season pass, which gives you access to the park for an entire year plus additional benefits like free parking and discounts on food and merchandise in the park. I usually get a season pass for myself for the parking and discounts and then the fun cards for my husband and the kids. DISCLOSURE: I was not compensated in any way for writing this article. My family loves Sea World San Antonio and I wanted to share our experiences and tips with others! All opinions are 100% mine! 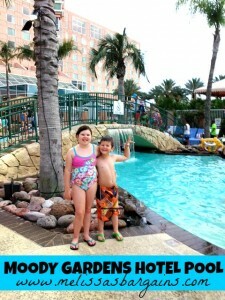 Moody Gardens Hotel Review: fun for the whole family! If you’re looking for a family friendly hotel on your next trip to Galveston, check out Moody Gardens Hotel! We’ve stayed here a few times now and have had a blast every time we go! 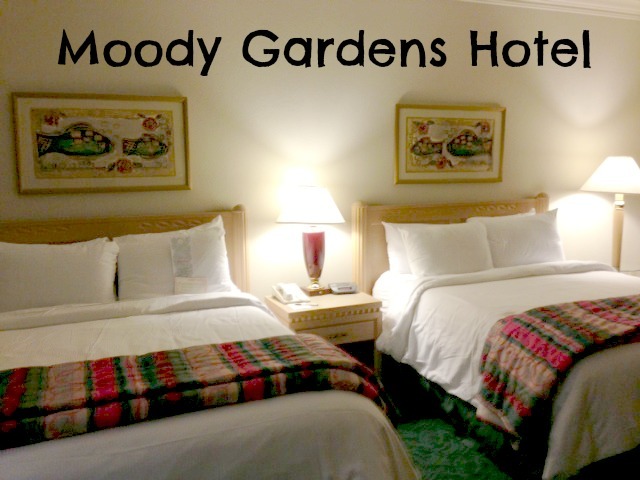 If you’re a Moody Gardens Season pass holder, make sure you call and ask about discounted room rates! You can also find Best Available Rates by using the reservation system and saying that your travel dates are flexible. Check out Priceline, too! The rooms – You can get rooms with a King bed or 2 Queen beds. The rooms include a mini refrigerator (which is always a plus for us) along with a Keurig brewer and an in-room safe. The best part of the accommodations is the views! You have beautiful views of the island or of the Moody Gardens Pyramids. During the holidays, we loved the view of the pyramids because we could see all of the Festival of Lights displays. During the summer months, we like the island view, and it makes it easy to access the pool, too! The pool – My kids LOVE to swim, and they loved this pool! It’s huge and there is a waterfall, which was an added bonus for them! There is plenty of seating around the pool including cabanas and poolside beds. There is also a poolside cafe, and they will bring your food right to you (plus you can charge it to your room). Adults will love the swim-up bar. We found that the pool got a little bit less kid and family friendly later in the evening. If you’re trying to stay in shape, there is also a heated lap pool. Kids Crew – If you’ve got time, let your kids unwind and check out the Kids Crew. They have different activities each day and you can pick up a schedule of the day’s events at the front desk or you can view it online. On our last visit, the S’mores were a huge hit. They have a bounce house and other activities like face painting, Wii challenges, and scavenger hunts. Your kids will never be bored! 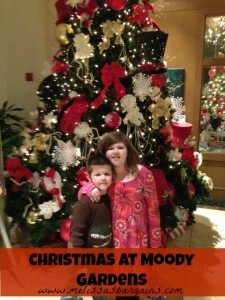 Special Events – Moody Gardens knows how to celebrate the holidays! I surprised my kids this year with a getaway right before Christmas that included a dinner show and a trip to the Festival of Lights. At check-in, they got special holiday-themed bags and when we returned from the evening festivities, they also had stockings filled with goodies on their pillows! There were several large, beautifully decorated trees, and a huge electric train set, too. They have special events throughout the year, and they are definitely worth checking out. The Christmas getaway will be a new family tradition for us! Other Amenities – You can take a shuttle to and from Moody Gardens. If your kids aren’t run down after a day at Moody Gardens, there is a park located between the hotel and Moody Gardens. Have a picnic or just let them burn off some extra energy! DISCLOSURE: I was not compensated for this review in any way. My family just really loves this hotel and I wanted to share our experiences with others! Delivery Man coming to theaters soon! I’m so excited for the upcoming release of Delivery Man! 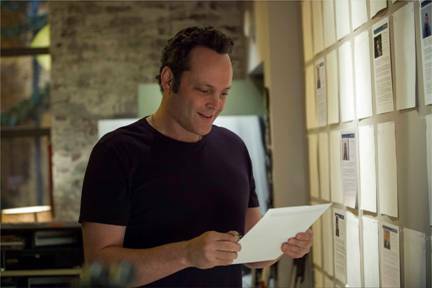 In the movie, David Wozniak, played by Vince Vaughn, learns that due to a mix-up at a fertility clinic 20 years ago, he is now the “father” to 533 children. Plus, over 100 of the children want to find out his true identity so that they can meet them! I always enjoy Vince Vaughn movies, so I can’t wait to check it out! 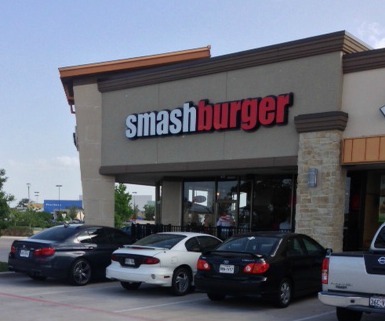 There’s a NEW Smashburger in Katy, TX! I have been hearing great things about Smashburger for a few years now, but there were no locations near me, so I hadn’t ever checked them out! When I was given the opportunity to attend a Smashburger VIP party at the new Katy, TX location that opens today, I jumped on it! We were given the opportunity to try ANYTHING on the menu! There were SO many options on the menu and I was completely overwhelmed! The salads looked amazing, and there were some great chicken sandwich options, too, but when I go to a burger place, especially for the first time, I want to try a burger! I settled on the Truffle Mushroom Swiss burger because I love mushrooms! I have also heard that the sweet potato fries are awesome, so I had to try them! It was a tough call, though, because the Smashfries, which are tossed with rosemary, olive oil, and garlic, also sounded AWESOME. My kids didn’t have any trouble making a choice! They both wanted cheeseburgers and fries! We were not disappointed! My son, who is 6, loudly proclaimed that his burger was “The BEST BURGER EVER!” He went a step further and said he loves it more than a local sandwich place, which has been his favorite place to eat out for awhile now. I guess he really enjoyed his burger! He also loved the chocolate and strawberry milkshakes that we got to try and he enjoyed the iPad that was rolling around on a scooter! I loved my mushroom burger! It was so much better than traditional “fast food” and also better than mushroom burgers I have had at casual dining locations, and the pricing is a lot better, too! The sweet potato fries were great, too, and I loved the strawberry shake with real chunks of strawberries! 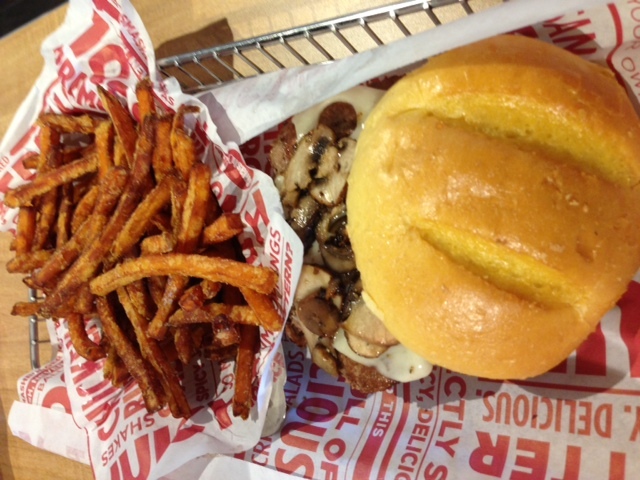 If you’re in the area, make sure you check out the NEW Smashburger in Katy, TX! It’s located off Pin Oak in the shopping center on the left just before I-10. If you’re not in the area, but you have a Smashburger near you, definitely check it out! Make sure you also sign up for money-saving coupons! Join the Smash Club to get the heads up on promotions and coupons by e-mail! 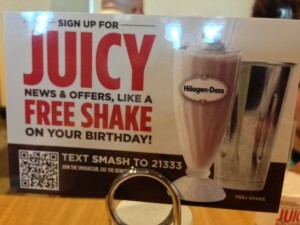 You can also text SMASH to 21333 to get a free shake on your birthday and the heads up on other offers! DISCLOSURE: I attended the Smashburger VIP party and my family and I were allowed to try free food to spread the word about the new Smashburger! All opinions are 100% mine! Please refer to my disclosure policy for additional information. 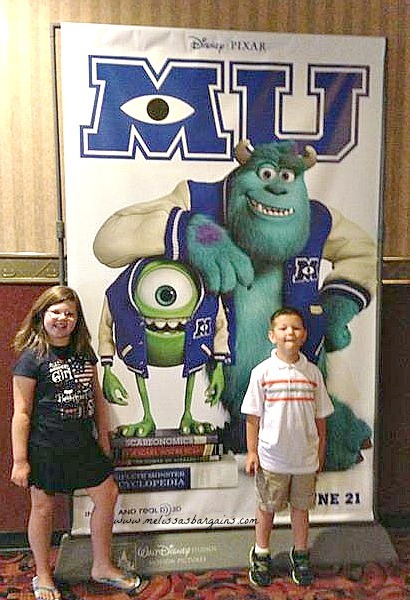 Monsters University Review: where it all started! My husband and I went on our first “date” to see Monsters Inc, so it has been a favorite movie in our house through the years. We have all been looking forward to the release of Monsters University, and ironically the official release date is one day before our 11th wedding anniversary! One of the benefits of being a blogger is that I get to attend movie screenings before the movies are actually released. Unfortunately, my husband and son had to stay home because my son got hurt. My daughter and I LOVED it, though, and I can’t wait for us to go again as a family! The movie starts with young Mike Wazowski (braces and all) on a field trip to see the “Scaring Floor” at Monsters Inc. From that moment on, his dream was to attend the Scaring School at Monsters University and then become a “scarer” at Monsters Inc. Fast forward a few years and it looks like his dream is coming true as he arrives at the university! The movie had a few surprises. The biggest one for me was that Mike and Sully were actually rivals in the beginning! Mike’s role as the resident “nerd” was not overly surprising, but after seeing Monsters Inc, I was surprised the Sully started out as an arrogant “jock” trying to get by on his family’s name! The two join together after being kicked out of Scaring School. Their only hope at redemption is to team up with a crew of misfits to try to win the Scare Games. Kids enjoy the antics of the monsters as they attempt to one up each other and win the competition. Adults will enjoy it, too, and may also be reminded of some of their own college experiences along the way! The movie teaches that dreams can come true, but not always in the way that you expect. Mike gets his job at Monsters Inc, but not in the exact role he was hoping for! It also teaches about teamwork and shows how lasting friendships can come in unexpected ways. DISCLOSURE: I was invited to attend a free screening of this movie. All opinions are 100% mine.